Then-Deputy Attorney General nominee Sally Yates in 2015. WASHINGTON — The Trump administration sought to block former acting attorney general Sally Yates from testifying in the House investigation of possible links between Russian officials and Donald Trump’s campaign, according to letters provided to The Washington Post. The effort to keep Yates from testifying has further angered Democrats, who have accused Republicans of trying to damage the inquiry. According to the letters, the Justice Department notified Yates earlier this month that the administration considers her possible testimony — including on the firing of former national security adviser Michael Flynn for his contacts with the Russian ambassador — to be off-limits in a congressional hearing because the topics are covered by attorney-client privilege or the presidential communication privilege. The issue of Yates’s testimony adds to the political controversy surrounding the House Intelligence Committee’s investigation of Russian meddling in last year’s election and any possible coordination between Trump associates and Moscow. David O’Neil, an attorney for Yates, met at the Justice Department to discuss the issue with government officials on Thursday. At the meeting, O’Neil presented a letter in which he said the Justice Department had ‘‘advised’’ him that Yates’s official communications on issues of interest to the House panel are ‘‘client confidences’’ that cannot be disclosed without written consent. O’Neil challenged that interpretation as ‘‘overbroad’’ in the letter. The following day, in a letter to O’Neil, the Justice Department responded with another objection: that Yates’s communications with the White House are probably covered by ‘‘presidential communications privilege,’’ and referred him to the White House. President Trump replaced acting attorney general Sally Yates after she refused to defend his executive order on immigration in court. O’Neil then wrote to White House Counsel Donald McGahn, saying that he believed any privilege had been waived as a result of past White House statements and that Yates planned to testify unless he heard back from McGahn. But that same day, the hearing, which also would have included former CIA director John Brennan and former director of national intelligence James Clapper, was canceled by the House Intelligence Committee’s chairman, Representative Devin Nunes, a California Republican, and any White House decision on Yates’s testimony became moot. In his Tuesday briefing, press secretary Sean Spicer said that the White House did not weigh in on whether Yates could testify. ‘‘To suggest in any way, shape, or form that we stood in the way of that is 100 percent false,’’ he said. Nunes has said he canceled the hearing to first hear from FBI Director James Comey in a classified setting. That session was also canceled. Democrats charge that Nunes has aligned himself too closely with the White House to conduct an independent probe. O’Neil’s meeting at the Justice Department and the exchange of letters came to light as the House GOP leadership continued to stand by Nunes. House Speaker Paul Ryan, a Wisconsin Republican, rejected demands that Nunes recuse himself. Nunes said Tuesday that he had no plans to step aside. 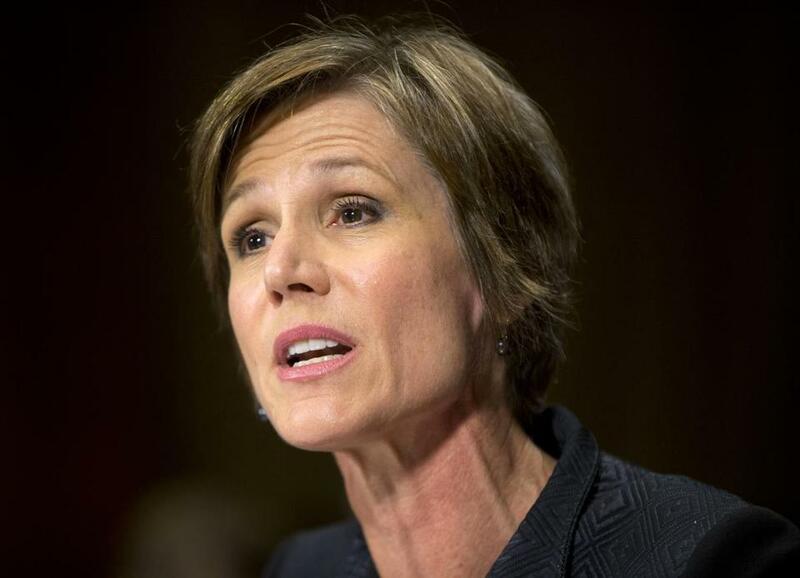 Yates was the deputy attorney general in the final years of the Obama administration and served as the acting attorney general in the first days of the Trump administration. 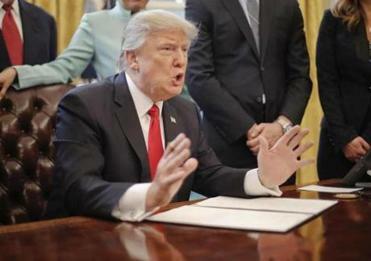 Trump fired Yates in January after she ordered Justice Department lawyers not to defend his first immigration order temporarily banning entry to the United States for citizens of seven Muslim-majority countries and refugees from around the world. As acting attorney general, Yates played a key part in the investigation surrounding Flynn, who was ousted after revelations that he had discussed sanctions with the Russian ambassador to the United States. Yates and Brennan had made clear to government officials by Thursday that their testimony to the committee would probably contradict some statements that White House officials had made, according to a person familiar with the matter who spoke on the condition of anonymity. O’Neil and Ken Wainstein, a lawyer for Brennan, declined to comment. Spicer said the White House did not seek to have the House hearing canceled. In January, Yates warned McGahn that statements White House officials, including Vice President Pence, had made about Flynn’s contact with the ambassador were incorrect and could therefore expose the national security adviser to future blackmail by the Russians. In his March 23 letter — addressed to acting assistant attorney general Samuel Ramer — O’Neil noted that Yates was willing to testify and that she would avoid discussing classified information and details that could compromise investigations. The correspondence was later shared with the House Intelligence Committee. ‘‘The Department of Justice has advised that it believes there are further constraints on the testimony Ms. Yates may provide at the [House Intelligence Committee] hearing. Generally, we understand that the department takes the position that all information Ms. Yates received or actions she took in her capacity as Deputy Attorney General and acting Attorney General are client confidences that she may not disclose absent written consent of the department,'’ he wrote. O’Neil continued: ‘‘We believe that the department’s position in this regard is overbroad, incorrect, and inconsistent with the department’s historical approach to the congressional testimony of current and former officials. That letter, in essence, marked Justice Department officials backing away from their earlier strictures, saying that although they thought executive privilege probably applied to Yates’s discussions, that was a conversation she would have to have with lawyers at the White House. The cancellation of the hearing made O’Neil’s deadline moot, although Spicer said the lack of a response to the lawyer’s letter showed the administration had no problem with Yates testifying.